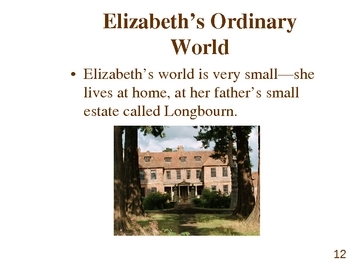 This Power Point presentation contains 37 slides and includes an introduction to the novel, an analysis of the novel's structure, and an analysis of Elizabeth's journey as a hero's journey. The show contains over seventeen pictures, many of which are animated, as well as easy-to-read text. 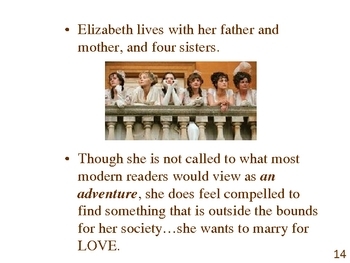 Students are introduced to terms such as satire, epistolary novel, quest story, and Freytag's plot pyramid. The plot pyramid slide is animated and allows teachers to demonstrate how the plot of the novel works. 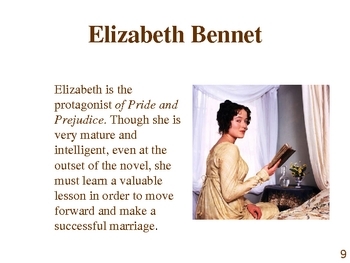 The novel's point of view, tone, and meaning are explored. 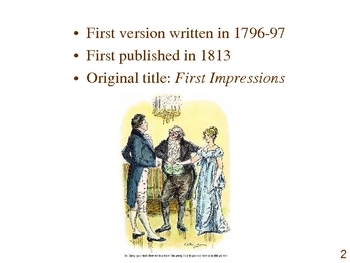 I use this Power Point with my Pre-AP Ninth grade students, those whom I am grooming for my AP LIt course in a few years! I want them to begin not just reading novels but analyzing how novels are structured and how authors use language to create meaning.